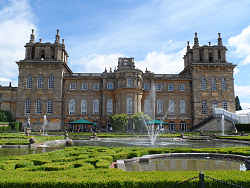 You will find a world-class collection of stately homes and amazing gardens in this region. Here are some of the most popular ones. Blenheim Palace: a World Heritage Site with over 300 years of history and home to the 12th Duke of Marlborough and his Family. 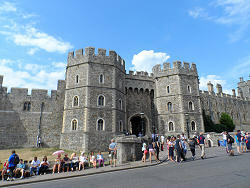 Windsor Castle: the oldest and largest occupied castle in the world. The Queen uses the castle both as a private home, where she usually spends the weekend, and as an official Royal residence where she undertakes certain formal duties. Bowood House, Calne: is a Georgian country house with interiors by Robert Adam and a garden designed by Lancelot 'Capability' Brown. Longleat, Warminster: Known as a prodigy house, Longleat is one of the best examples of Elizabethan architecture, set within 900 acres of 'Capability' Brown landscaped grounds. It is home to the UK's original Safari Park. Chavenage House, Tetbury: is a wonderful Elizabethan house built of mellow grey Cotswold stone and stone roof tiles. 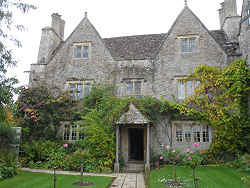 Chavenage has been the location for many films and TV programmes including Poldark..
Kelmscott Manor, Oxfordshire: A Tudor farmhouse built around 1600 which was the summer home of William Morris. It contains an outstanding collection of belongings and items made by Morris, his family and his Arts & Crafts associates, including furniture, original textiles, pictures, carpets, ceramics and metalwork. Berkeley Castle, nr Bristol: is a stunning mediaeval castle which has been the home of the Berkeley family since 1153. It has been lived in by the same family for almost 900 years, longer than any other fortress in England. Avebury Manor, near Marlborough: is a National Trust property set within a pretty village and close to the world's largest pre-historic stone circle. The Manor is a Grade I-listed early-16th-century house surrounded by well-tended gardens. Nearby is the Alexander Keiller museum. Lacock Abbey, nr Chippenham: Was originally a 13th century abbey built by Ela of Salisbury for her nuns. It was dissolved in 1539 and turned into an unusual home by the Talbot family, including William Henry Fox Talbot who created the first photographic negative and established this as the birthplace of photography. Tyntesfield, nr Bristol: is a Victorian Gothic country house and estate, which serves as a backdrop to the remarkable story of four generations of the Gibbs family as a place where they could share their achievements and raise their children. Dyrham Park nr Bath: is a seventeenth-century baroque country mansion, set in an ancient deer park. Inside the house, you can learn about the Blathwayt family, see their collection of artwork, ceramics, furniture and Dutch delftware and explore the Victorian kitchen. Buscot Park, Faringdon: is a country house built in a neoclassical style between 1780 and 1783 for a local landowner. It is now Lord Faringdon's family home which contains some fine furniture and an art collection with paintings by Rembrandt, Reynolds, Rubens, van Dyck and Murillo. There is some outstanding works by the Pre-Raphaelite artists Burne-Jones and Rossetti, and the present Lord Faringdon continues to acquire new works by contemporary artists. Stourhead House, nr Mere: a Palladian mansion with a unique regency library, Chippendale furniture and beautiful art collection. This was a grand family home shaped by generations of the Hoare family. Cliveden House, nr Reading: Designed by Charles Barry in 1851 to replace a house previously destroyed by fire, the present house is a blend of the English Palladian style and the Roman Cinquecento. Guided tours of the house, now a hotel, only take place on certain days. Basildon Park, nr Reading: An 18th-century mansion which was saved from destruction by Lord and Lady Iliffe in the 1950's. It is a story of grandeur created after it was derequisitioned following the end of the Second World War. The Iliffe's spent 50 years renovating it and returning the house to its former glory collecting fine furnishings and a beautiful art collection to complete the restoration.